So many bumblebees in my garden this summer. 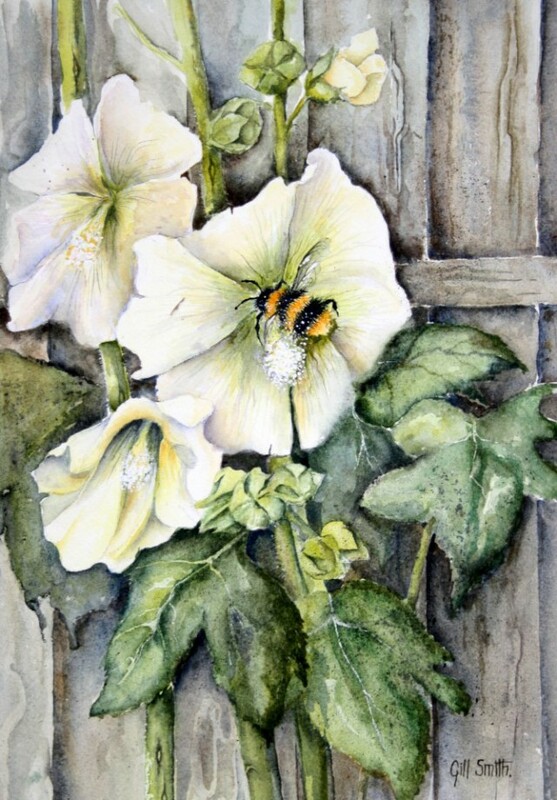 Hollyhocks the favourite. Available as a limited edition print only.